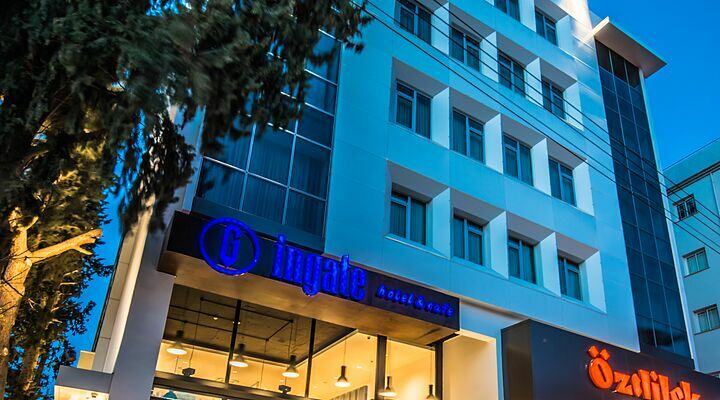 Situated in the heart of Famagusta's business and entertainment neighbourhood, the Ingate Hotel is ideal if you want to stay in the heart of this historic city. All the famous sights are just a short walk away, and it’s close to the town beach too! 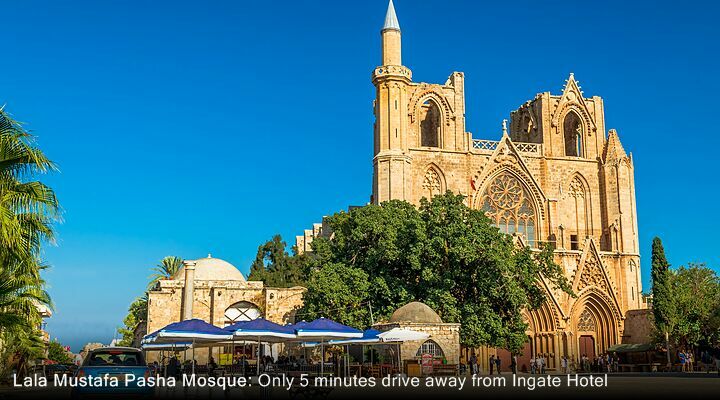 Famagusta is a great place for a North Cyprus holiday if you enjoy a vibrant lively city break with plenty of history on your doorstep. 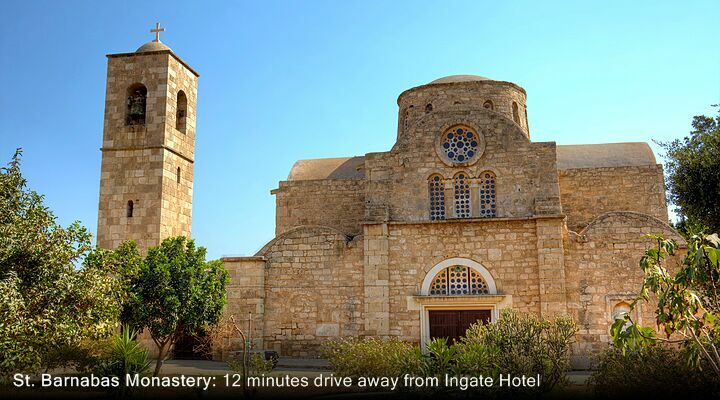 The old walled city of Famagusta with its mighty ramparts, Venetian architecture and links with Shkespeare’s Otello is literally just down the street from the Ingate Hotel. 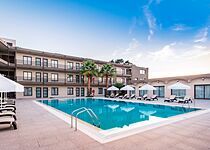 Add in the lively and bustling atmosphere of the city itself, with its young student population, and it’s a great location for a North Cyprus holiday that’s more than just hotel/beach/hotel/beach! 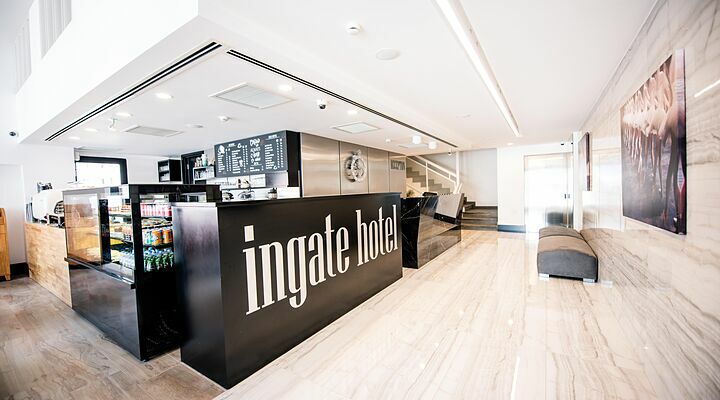 The 3 star Ingate Hotel has a cool, contemporary look, from the sleek marble-clad foyer to the urban-chic bedrooms. 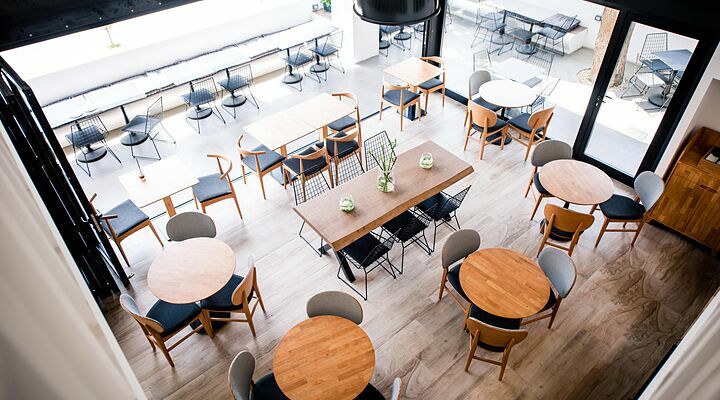 Locals and tourists alike flock to the hotel’s popular cafe which serves a delicious assortment of snacks and drinks. 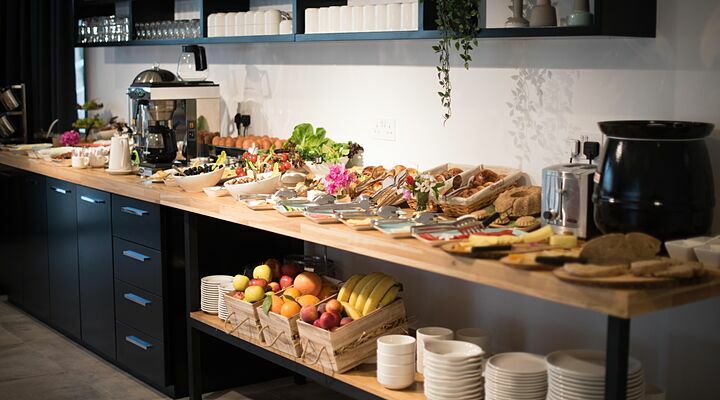 This is the location for your tasty breakfast, the ideal way to start your day of sightseeing or lazing on the beach. 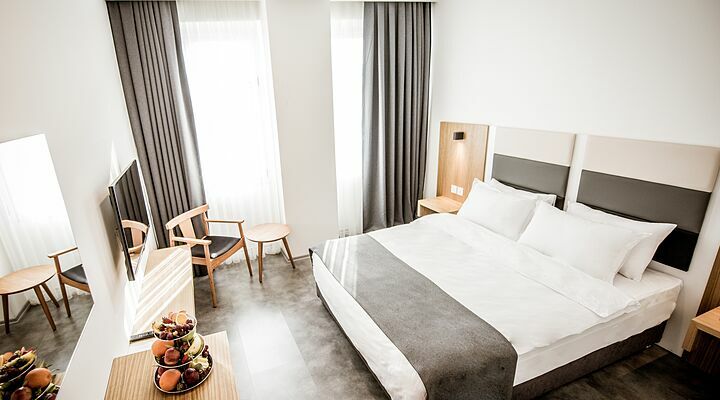 The bedrooms at the Ingate Hotel are very contemporary, with minimal lines and on-trend colours. 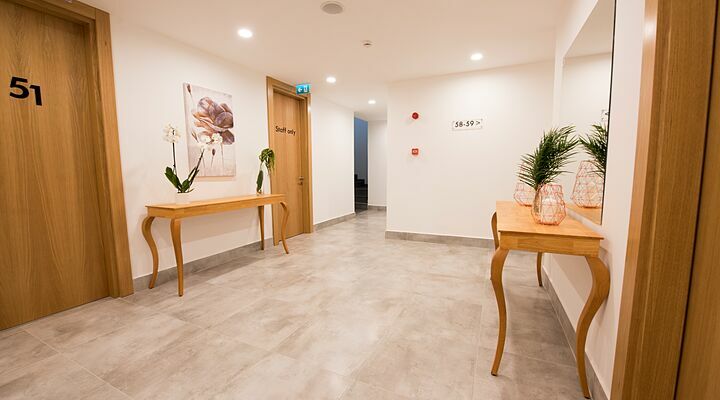 The ensuite bathrooms feature wall to ceiling tiles and smart modern fittings, and a walk in shower. 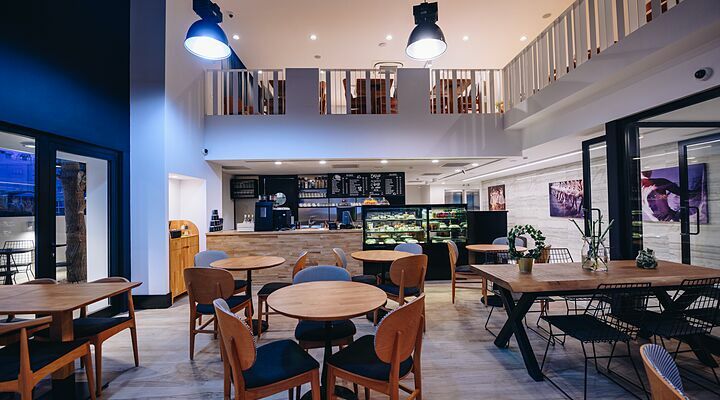 You’ll find all the essentials of a city hotel in every room at the Ingate Hotel - comfortable beds, air conditioning, an in-room safe, mini bar, TV and that most modern of necessities, free wifi. 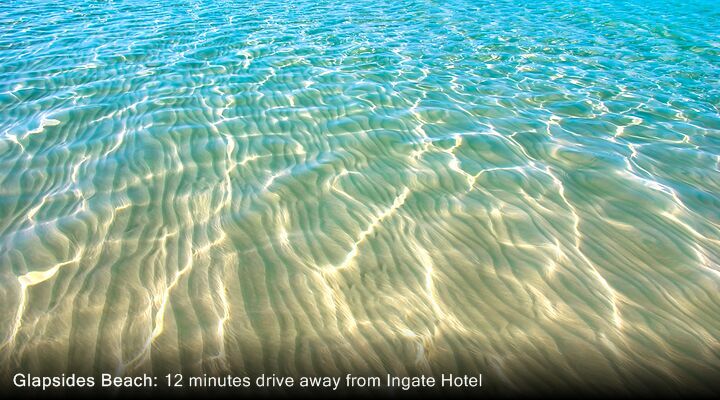 Some rooms have sea views too - not often you get those in a city hotel! 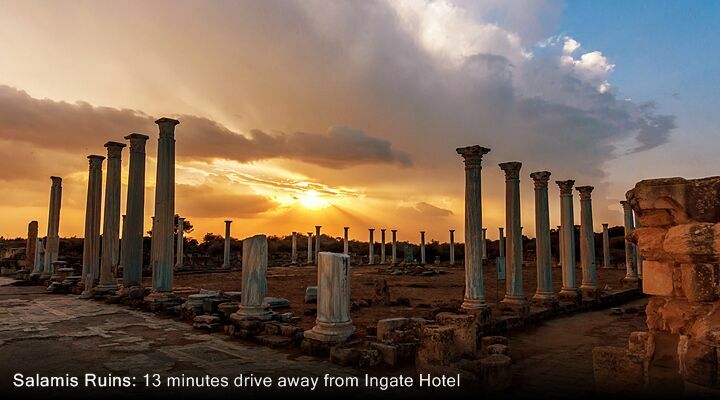 Famagusta (or Gazimagusa) is a fascinating city to explore. Walk through the gates of the old walled city and you enter a world of Venetian architecture still pock-marked by a Ottoman siege that lasted years. Walk through cool streets to discover the historic church that became a mosque, the former sea gate with its Venetian lion and of course Othello’s Tower, named after Shakespeare’s hero. For a bird’s eye view, walk along the walls between nighty bastions or along the former moat, now a green park. 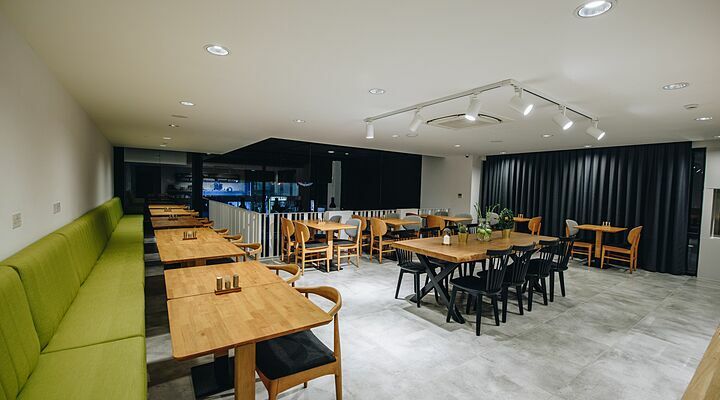 There are plenty of local cafes and restaurants to explore close to the hotel, and there's a local supermarket too for essential supplies. 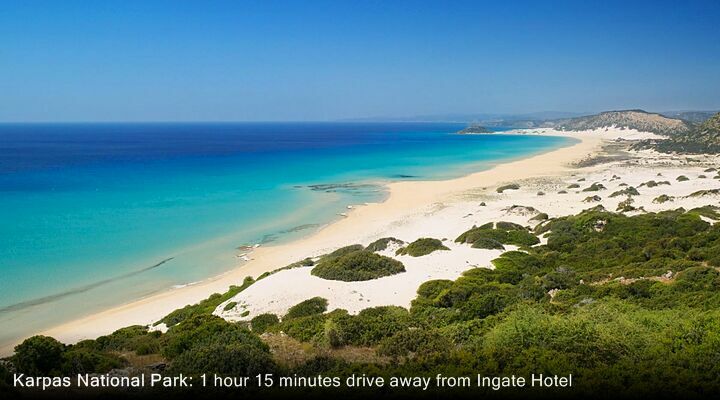 Famagusta Bay is basically one long beach, with Famagusta towards the southern end! 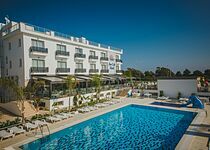 Join the local at the town beach or head north to Glapsides beach, or the fascinating ancient ruins at Salamis, and its own shady beach. Fly from UK regional and London airports to Ercan International, the most relaxing way to start your North Cyprus holiday. Our private taxi transfer will whisk you from the airport to the Ingate Hotel is just 50 minutes, with no waiting or dropping off other passengers.